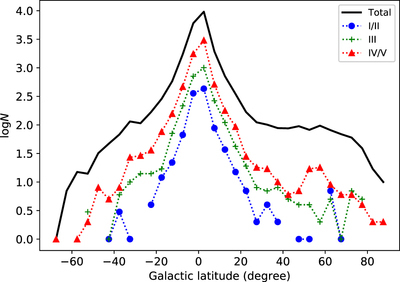 Distributions of OB stars in Galactic latitude. 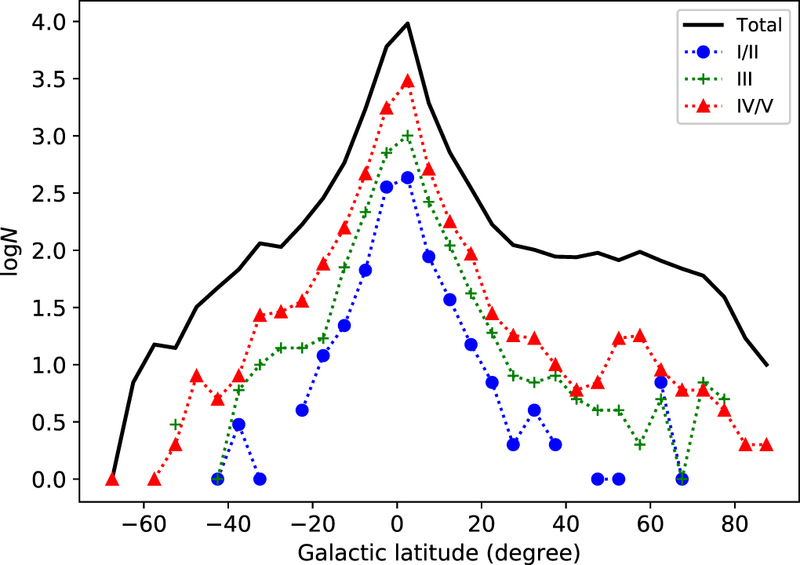 The black line indicates the distribution of all OB stars, while the red triangles, green crosses, and blue filled circles display the distributions for the IV/V-, III-, and I/II-type stars. The y-axis is in logarithmic scale.